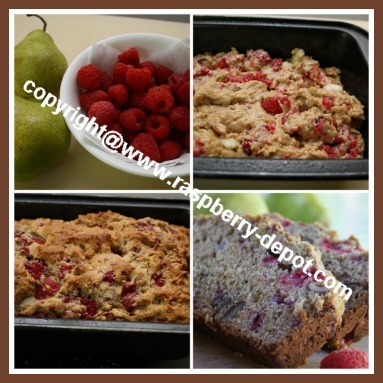 This Pear and Raspberry Nut Bread Recipe makes a tasty, healthy bread with pecans, pears and fresh raspberries that will take your taste buds for a ride! 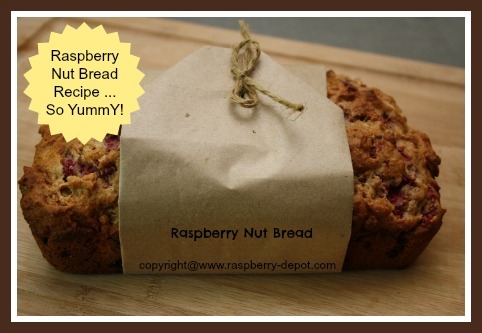 Yummy Raspberry Bread with Nuts and Pears! 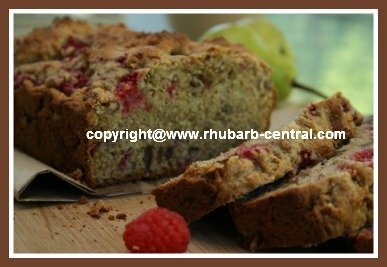 If you are looking for a great quick-bread recipe to make for breakfast, brunch, lunch or for a delicious school snack, you have found a choice recipe here! 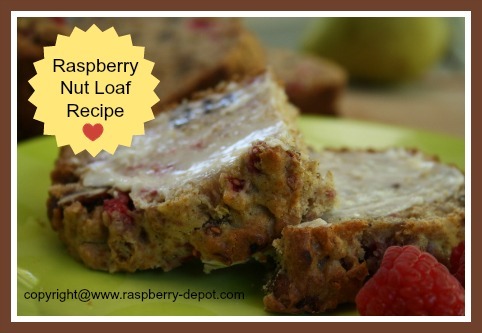 The healthy blend of all-purpose flour and whole wheat flour creates a beautiful, dense textured loaf with colourful raspberries and pecans "peeking" out! 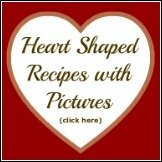 In a medium size bowl, combine the all-purpose flour, whole wheat flour, baking powder and salt. Take 2 tbsp. 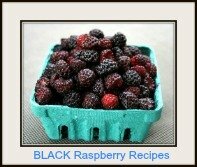 of the above mixture, and add it to the fresh raspberries in a small bowl, and gently toss to coat. In a large bowl, combine the brown sugar and the oil, and stir until combined. Add the lightly beaten egg, vanilla, and the chopped pear pieces, and stir just to combine. Add the flour mixture to the egg mixture, mixing just until combined. 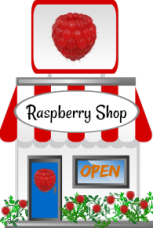 Gently fold in the raspberries and the chopped pecans just until combined, being careful not to break apart the raspberries too much. Do not over-mix. Transfer the bread batter into a greased 9" x 5" (approximately), greased (I used non-stick cooking spray) loaf pan. Bake at 350° F for about 1 hour, or until a toothpick tester inserted into the center comes out clean. Allow bread to cool in pan for about 10 minutes before removing to a wire rack. 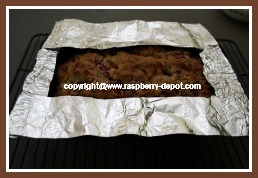 To avoid the edges of the loaf from becoming too dark or burnt, I like to add a home-made shield that I simply make out of aluminum foil (see image below), and place on top of the raspberry loaf after it has baked for about 30 minutes. 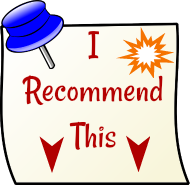 This is similar to making a pie crust shield.